For those of you who are still curious as to what changes to the All New Avanza 2012, this leak in the low part of this multipurpose vehicle. Citing the photos listed on an automotive forum, the details of the changes seen more clearly. 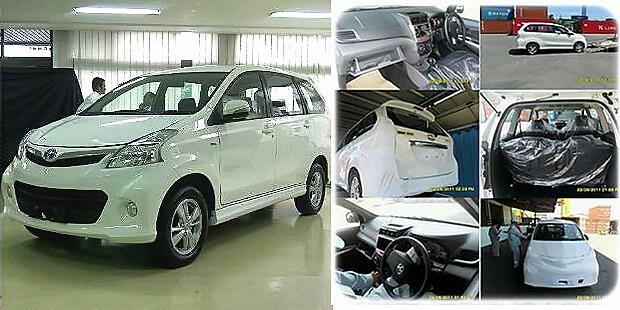 Looking wheelhouse All New Avanza, significant changes appear on the dashboard design. Parts of it now looks more gentle, like a sedan. Design Air Conditioner grille located in the central part is wider. To strengthen the bursts of Air Conditioner, Toyota is still using the additional blower attached to the top of the pillar B. Choice of colors throughout the interior is now black again, the same as the first generation Avanza was launched in 2004. The composition of the seat also has not changed, still with 2 +3 +3. At the center of the dash there is a CD player. Three fixed beam steering wheel, just looks almost like Altis with multifunction buttons on the left (new features). Then, the display screen has a small digital odometer and looked fresh with a touch of red shades. On the exterior, changes to the grille looks more sweet with a touch of chrome coating. Model headlights like a boomerang, but more broadly. Bumper and grill are also completely new. Regarding the dimensions, it seems Avanza 2012 almost no different than the previous model. One thing is for sure, Toyota will offer the best-selling car in Indonesia is, in a choice of new colors, white, according to the images caught on camera. Time confirmed about this car, Toyota sources to ensure that indeed these figures are the second generation All New Avanza. Meaningful, news launch next month become true.